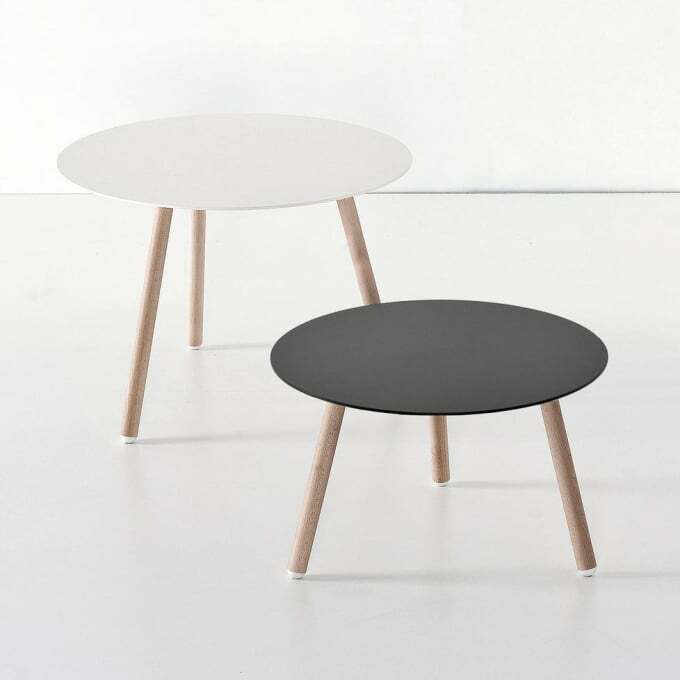 The round BCN table, designed by Harry & Camila, extends the BCN product family and uses the same materials as the popular BCN stool. The table legs made ​​of solid wood - either natural or lacquered - carry the round table top made ​​of MDF, which can be ordered black or white lacquered. The tables feet are equipped with an anti-scratch protection. The table, which was first introduced in 2012, is available in different sizes - as a side table / coffee table, dining table and bistro / bar height bistro table. Do you have a question about "BCN (coffee table)"? How can we contact you?